Apple Magic Mouse is an optical, wireless mouse from Apple which was released in October 2009 and it is the direct successor of the Apple Wireless Mighty Mouse. Apple Magic Mouse can be operated as a one-or two-button mouse and can be configured for left handed usage or right handed usage. Apple Magic Mouse uses the same proprietary Multi-Touch technology first introduced on iPhone and it is needless to say, it is the first mouse that came with real Multi-Touch feature. Apple magic mouse gets connected via Bluetooth, 1000hz ultrapolling, which makes it respond within 1ms within 33 feet range and uses two AA type Battery. The body is made of Aluminum which continues as the base of the mouse, the upper surface is made of glass, on which gestures and clicks can be made. There are some differences in the Trackpad comes on Apple MacBook Pro with Apple Magic Mouse. They are technically complimentary – sweep with four fingers from right extreme towards Trackpad shows up the Notification center, whereas sweep with two fingers from left extreme towards inner on Apple Magic Mouse opens up the Dashboard. As there is no physically rotating object for scrolling, scroll has practically no limit, but below it is limited up to the Apple logo (on vertical scroll). Apple Magic Mouse is delivered in a top and side transparent showpiece box. There is a on-off switch with Green LED indicator on top of it, the switch resembles iTune’s and Apple’s other software’s GUI’s toggle button. The switch’s top is scored with concentric circles. A second slider switch opens up the battery chamber. The springs are covered with metal cups. Apple Magic Mouse is optimized for the usage with Apple’s hardware and software. Apple Magic Mouse works with Mac OS X 10.5.8 (or later). The average battery life of 30 days with 12-14 hours usage with MacBook Pro 15″ (From my practical experience). Cleaning the part where the glass surface and metal body joins is a pain. It is possibly the only glitch the usual Mac users has to complain. The packaging box is oddly of brown hard board paper without any branding except official barcoded sticker whereas the wired one has usual white box. There is a third party software available for using Apple Magic Mouse with Windows 7 or Windows 8. Apple Magic Mouse is a product that is designed for full Mac setup, we can not give warranty whether all hardware features will work on non Apple OS. If you are looking for a versatile, less costly, ergonomic, pocket-able mouse; Microsoft Arc mouse will be my choice. 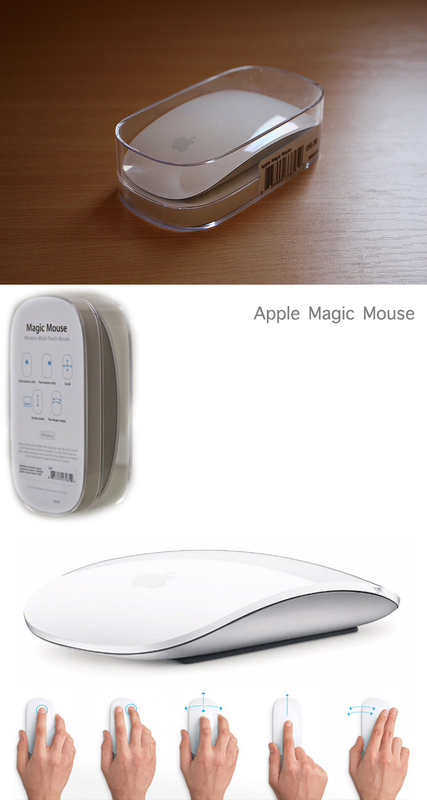 Apple Magic Mouse actually reminds of first generation mice – clicking the middle works as left click – there is no no need to extend the index finger. This Article Has Been Shared 617 Times! USB 3.0 or SuperSpeed is a major revision of USB with a 5 Gbit/s transfer rate, which is much higher than currently widely used USB 2.0 standard. Cite this article as: Abhishek Ghosh, "Apple Magic Mouse : Technical Details and Long Term Usage Review," in The Customize Windows, April 17, 2013, April 19, 2019, https://thecustomizewindows.com/2013/04/apple-magic-mouse-technical-details-and-long-term-usage-review/.